If Mark Twain and Benjamin Disraeli were around today, they’d probably be quite interested in reading the 2019 State of Science Index from 3M and may consider including “science” in their comments. 3M’s State of Science Index is a survey that studies perceptions of science around the world. This is the second year for the survey, which drew its conclusions from 14,000 participants in 14 countries. Some of the topline findings this year were that 35 percent of those who responded to the survey said they are skeptical of science. This is an increase of three percent over 2018. 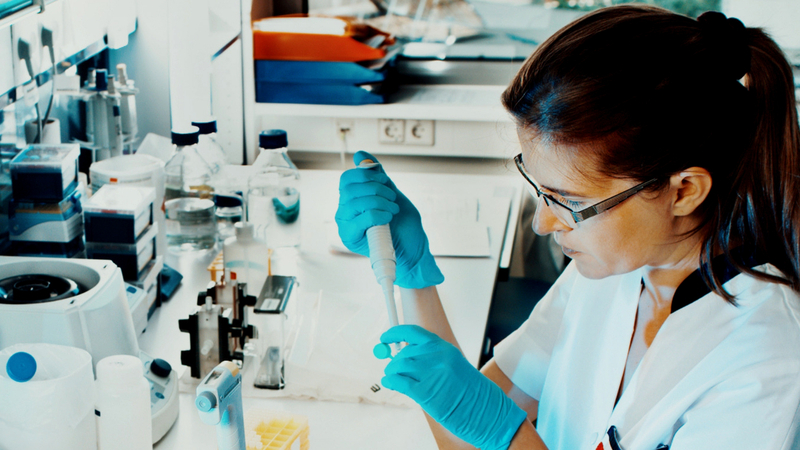 A little more than 25 percent of global participants said they are suspicions of the role science will play over the next 20 years. In America, the number is higher, closer to 33 percent. If we are to go with these findings, it would seem that science has joined the list of tools advocates use to advance their agendas, sometimes questionably. We can speculate on why perceptions of science in general have shifted in this way, but certain things are true from any perspective. It is now a standard strategy in the communications toolbox for advocacy groups to point to science as the basis for some of their arguments. Quite often, the spokespersons for these campaigns are scientists, selected for their perceived credibility and neutrality on the issue. Apparently, such campaigns could be starting to backfire. The lesson for communicators for the moment is simply to be aware that when you start pointing to “scientific data,” “scientific research,” or the almost oxymoronic “scientific consensus,” you need to make sure that scientific accuracy comes before all else in order to retain credibility. It’s been a few weeks now, and I’ve seen the usual pattern among some PR consultants in various media taking Boeing to task. I’ll get to the predictable PR narrative in a second, but if you need an update on the situation, there have been two plane crashes in the past five months that have been blamed for missing certain safety technologies on the Boeing 737 Max, a successor to the highly common Boeing 737 aircraft. At the center of the problem is what appears to be a software glitch that resulted in two safety features that are designed to alert pilots to possible incorrect readings not being installed on some aircraft. It seems that Boeing had charged more for those features, so it’s possible the airlines involved in the crashes elected not to buy those “extras” for the aircraft involved in the crashes. At the very least, there may have been some confusion. That’s the simple version. There have been numerous reports that the pilots of those aircraft may not have been aware of this technical problem and may not have been as well trained as others to compensate for the problems in flight. I’m sure we’ll learn more as we move forward. Whatever the case, once this problem became clear, several countries decided to ground the aircraft, including the United States. This had a negative ripple effect on air travel for many airlines and passengers. As Boeing proceeded to address and correct the problem, several PR pundits, often with little to no actual crisis experience, have weighed in with the same sort of crisis counsel that they would have provided if a major airline had miscalculated a weather delay. They said that Boeing needs to apologize, it needs to own the problem. The issue they say is one of trust, and in that spirit they must make sure their apologies are genuine, they must take responsibility. If the company does this, the PR ‘influencers’ say it will get its brand back in time. Let’s start with the fundamental flaw in this sort of PR thinking. These suggestions inadvertently presume the core driver of the crisis was a communications matter or a trust issue. That broken trust is the cause. In other words, since trust has been broken, if you communicate just this way, you’ll have your trust and your reputation restored. When an aircraft crashes, that’s more than a communications problem. It’s a technical problem. It’s an operational problem. It could be a training problem. It is a customer relations issue. It could be a sales and marketing matter. And we don’t yet know if it could be a cultural or ethical issue. Because of this you can’t just apologize and be transparent and expect to get your brand back. When more than one aircraft crash, it’s not only a crisis, but it’s also quite possibly a cultural issue and could have bled into operational systems and processes. In short, it wouldn’t surprise me if there were underlying issues that must now be addressed well before communications strategies and tactics can be effective. For this reason, expecting an apology to accomplish anything at this point is like trying to put a bandage on a water main break and hoping that it seals the gusher. Is it? More often than not apologies are rejected as disingenuous because they are perceived as “just words” and no action. As for the notion that only sincere-sounding apologies work, see above and know that once you’ve apologized, your critics will seize on it as proof of your firm’s guilt, and more importantly as a foundation of their case that your organization is unfit to do whatever it may want to do in the future. In other words, apologizing at the wrong time in the wrong way usually stands little chance of helping, but it increases the likelihood of hurting. Then there are the issues of transparency and accountability. Yes, all organizations at the center of all crisis situations have to be accountable. But one thing you can be sure of in this case is Boeing doesn’t need to be told this. Why? Because accountability is built into the process. 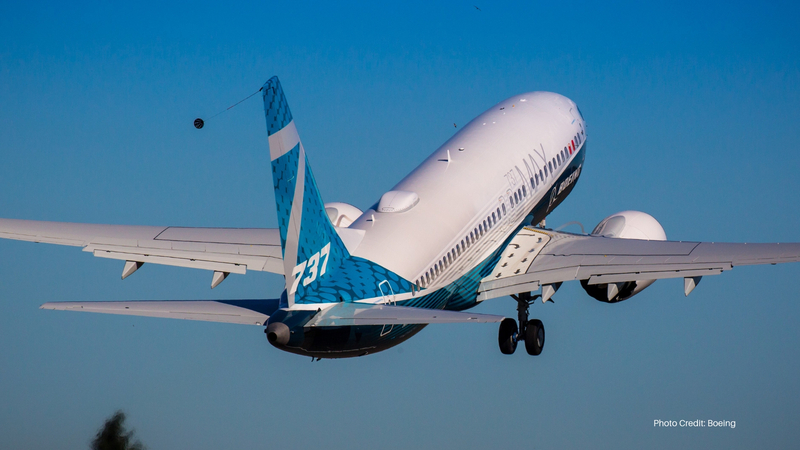 The Federal Aviation Administration (FAA) and other regulators will make sure Boeing is held to account whether it wants to be or not. So, what Can Boeing Do? Boeing is already doing it. They are taking accountability. They are being transparent. Otherwise we wouldn’t have known so quickly the cause of the problem and what was being done about it. They are focusing on corrective actions, which is proper and much more effective than apologetic words. As part of taking corrective action, they are updating the software, making sure it is in all existing and new 737s, and they will be conducting intensive trainings for pilots and airlines on the use of the software. I’m not sure if this was Boeing’s idea or not, but the truth is, it doesn’t matter. The point is, it’s getting done. And unfortunately for Boeing and its shareholders, they will likely face some very costly litigation from the families of the passengers who tragically died in those crashes, and perhaps lawsuits from their customer airlines seeking to recover damages. And given our society’s litigious nature, there will probably be a class action or two from passengers inconvenienced by the grounding of the 737s. With all of these non-communications remedies in progress, what role does crisis communications play in this scenario? The main thing is to make sure that communications is supporting all of these efforts and making sure the public knows about it all in the right context. The communications function has to make sure that the tone of all advertising and communications does not attempt too quickly to distance itself from this situation. Oftentimes, when something this serious happens, it’s tempting for communications chiefs and marketing decision-makers to want to move on too quickly. Frequently, they think that by changing the subject in their marketing, they can make people forget more quickly. That’s a mistake. For Boeing, this was a seminal event and it should be treated that way. Make sure that you err on the side of communicating more rather than less on the corrective actions being taken. And stay with the program through its entirety. Yes, but it’s more than that. It’s making sure the focus is on corrective actions at the technical, operational, and internal levels. It’s also about making sure that the tone of your non-problem-specific external communications is more muted and respectful of the larger context in which the company is presently operating. Make sure those invitations to the company holiday party this year are more understated. Make sure that if there is any hyperbole in your trade show literature it is cut down or removed. If you want to be taken seriously, you have to maintain a more serious posture. This would be a good time to revisit internal ethics policies and processes for reporting problems, including whistle blower policies and practices. Make sure that going forward the communications channels up and down the chain of command are wide open so that problems can be identified, the right people are notified, and that passenger safety is paramount in all decision-making. I’m not saying that Boeing didn’t do this, but I am saying times like this provide an opportunity to revisit all of it. Are You Saying Boeing Should Never Apologize? Not at all. I am saying that if you let the operations, legal and other non-communications functions focus on corrective actions and creating preventative mechanisms for the future, and if the communications function provides support with a focus on awareness, culture and credibility, the genuineness and the remorsefulness over what has recently happened will be extremely obvious and understood broadly and widely. Actions and a fundamental cultural shift are much more powerful in expressing contrition than a well-crafted 200-word apology. I’ll be speaking at a student career day in a few weeks, and while I have some ideas I’d like to share with the students, I thought I’d do some online research to see what others in the PR business are telling students about the public relations field. In the course of that, I ran across a particular blog post that out of respect to its author I won’t attribute his name here, but I will take a few minutes to counter a running theme in it. The theme is, “In PR, we should stop trying to fit in with everyone else. We need to stand out.” Tied to this, the PR pro advocated heavily for self-promotion as a way to get your career moving. 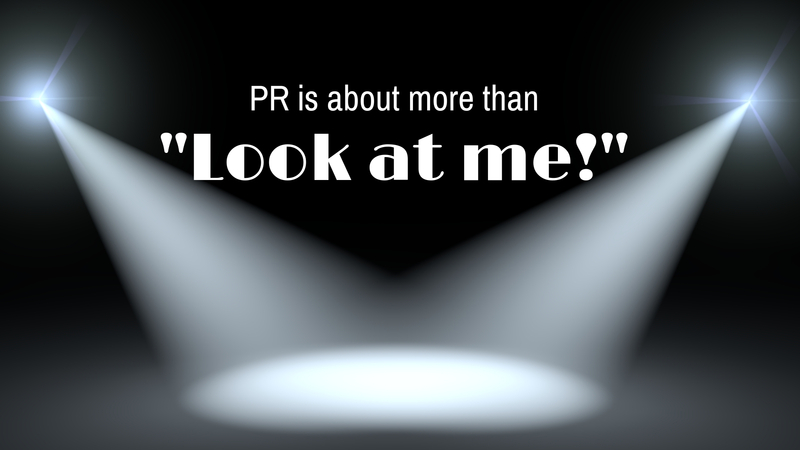 First, in the public relations field, yes, the goal is not to strive for sameness. Differentiation is often a strategic facet of what we do, but it’s not the mission or mantra. Even then, there are certain ways to stand out when that’s important. Keep in mind, people often behave in many ways that get attention, but all too often it’s the wrong kind of attention. This is not a new mindset. Back in the days of ink-stained editors in smoke-filled newsrooms, stereotypical publicists had a mantra: “It doesn’t matter what they say, as long as they spell my name right.” It was a fallacy then and it is now. To be sure, the writer of the post I cited spends his days in marketing communications within the confines of an ad agency that focuses on consumer marketing. In that narrow niche, it’s not uncommon to rely more heavily on standing out for attention’s sake. Oftentimes, you’re selling a commodity against other commodities. The transaction is consistently simple. You’re always selling something. It’s always to the masses. And in the end, the thing you’re selling at its core is no different than the competition. In those cases, the only things that will make your product stand out are the packaging, the marketing, the art, the social, the gimmicks, the taglines. Do anything to get noticed. It’s all about just getting noticed. But the truth is, in the decades I’ve worked in PR, “getting noticed” has never been the overarching mission even when the purpose of the program has been to sell something. Effective marketing is smarter than that. More often, the mission is to make credible and productive connections with the right people who can help our organizations achieve some business or organizational objective. In a crisis, the mission may be to make sure everyone is safe after an accident, and to make sure all of the right people know what’s happening. In the workplace, the mission may be to make sure every employee has a full understanding of the competitive pressures a company faces and what each person can do to help the company achieve the larger goals. 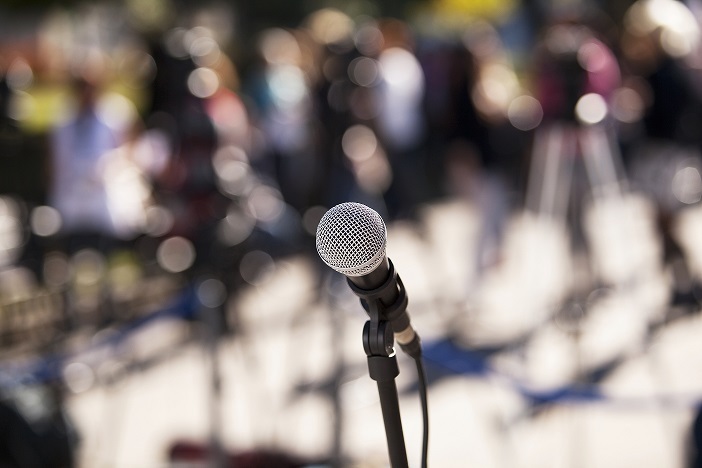 Even in our most common discipline, media relations, the goal isn’t always just to get noticed. Oftentimes, it’s to connect with the news media’s viewers or readers on matters much more comprehensive than selling a commodity product. Not too long ago, a media relations program I handled on was centered on educating the public on energy and environmental issues. The point is, if I were a student reading the blog post that I cited at the start of this post, I would come away with a very narrow view of the PR field as nothing more than creative grandstanding. That’s a narrow and amateurish view of PR. When the writer advocated for self-promotion as a means to get ahead, he didn’t couch it. Apparently, he believes no-holds-barred self-promotion is the way to go, most likely because it has helped him. I’d venture that he may not realize the number of times he may have hurt himself in this way. The truth is, while we all have to establish ourselves in our careers and create a “personal brand,” if you will, shameless self-promotion is a sure way to alienate coworkers, managers, some existing clients and more than a few potential clients. In the end, a career in public relations is not all about self-promotion and trying to be different just to stand out. It’s about connecting with people using proven means, or coming up with new and creative ways if that’s what’s required to get the job done. More to the point, it’s better to adopt the belief that if you’re my audience, it’s all about you. Admissions Scandal: Should It Matter Where You Went to College? Why do they feel this way? Why shouldn’t it matter where we went to school? Maybe it’s because we all knew someone who went to a very good school and doesn’t appear to be smarter than anyone else. “Good schools aren’t all they’re cracked up to be,” we tell ourselves and anyone who will listen. In light of the recent college admissions scandal involving some high-profile celebrities and some national educational institutions, I’ve seen this line of thinking quite a bit in the media and online. If you’re not familiar with the story, 33 parents are facing federal charges in an investigation that was code-named, “Operation Varsity Blues.” Sounds like a made-for-TV movie, doesn’t it? This real-life drama stars actresses Felicity Huffman and Lori Loughlin, among other accomplished parents, who allegedly were willing to pay certain individuals to ensure that their kids were moved to the front of the line in the college admissions process. Winning the award for best college in a supporting role is a tie between eight leading universities: Stanford, UCLA, the University of Southern California (USC), Georgetown University, Yale, Wake Forest, University of Texas at Austin, and the University of San Diego. Can’t Kids Get a Good Education at Any College? The answer is that under the right circumstances, yes, but let’s take a step back for a moment. The truth is, people send their kids to college for reasons other than simply to learn in a classroom. Years ago, I remember working on a communications research project for some colleges, and we surveyed high school students on what they looked for in a university. The most prominent factors among high school seniors were nice dormitories, nice gym facilities, a vibrant social atmosphere (i.e. the party scene), an impressive school name for your resume when you graduate, and for some, just enough distance between the college campus and home to keep parents at a distance. Of course, most parents would likely have a different set of priorities for their kids. As someone who has put two kids through college and who has many friends who have done the same, my anecdotal research, if you will, told me that parents want their kids to get a good education, to major in something that will help them get a good job when they graduate, to minimize the impact of loan debt on themselves and their kids, and to have a good college experience. For some, they may also want their kids to build a network that helps them in life as well. None of this may be alarming, but when you look at the notorious examples set by the recent Hollywood moms and dads, and it’s apparent that while they, too, had the best interests of their kids in mind, maybe their hopes and dreams were on steroids. Since these parents obviously had more than enough money to cover tuition at an expensive private school, that wasn’t the issue. Rather, it’s more likely a combination of things, starting with the obvious notion that the kids themselves did not have what it took academically or athletically to get themselves admitted to the chosen schools. So, we can presume that the parents either really wanted the kids to go there, or the kids really wanted to go there, and the parents were willing to move mountains of cash to make it happen. 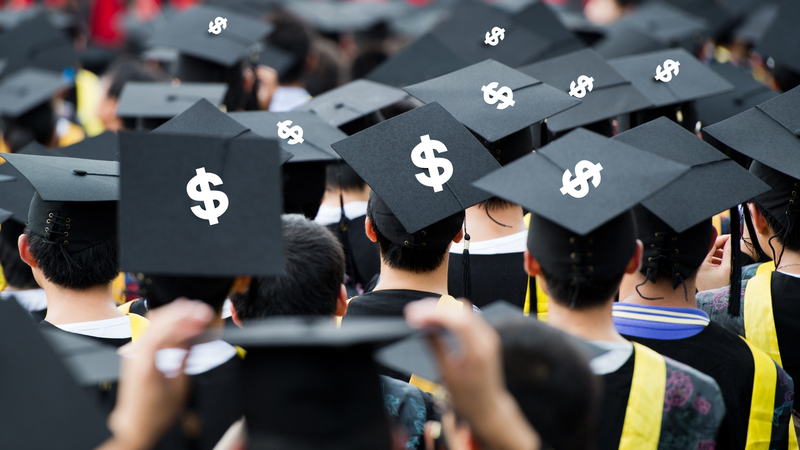 According to news reports, some parents were willing to pay hundreds of thousands of dollars just to gain a favorable admissions decision. So if it’s not all about classroom learning, what’s the driving force? One reason may be that attending certain schools bring with them a social strata you just can’t get from other schools. Related, their new college friends will probably be their lifelong networks, they hope. Parents know that career and business opportunities five, ten or even 20 years from now will be traced back to this time when they went to an elite school with elite classmates from elite families. In short, the parents probably think they are buying their kids a future that the kids could not attain for themselves. Does this justify their actions? No, 1,000 times, no. But it does explain why some were willing to risk the penalty of law to do what they did. It was not about the education. From a crisis communications point of view, in the coming days and weeks, you can expect all sorts of public relations professionals to explain how colleges need to be more transparent and accountable, that they should apologize (What’s crisis communications counsel in 2019 without the obligatory apology? ), and they should bring back merit-based admissions policies. In a twisted way, you might hear a college or two use this situation to reinforce perceptions of the high value of education they provide. In this context, while technically it may be true, it would not be honest. As a corrective action, the parents involved here should openly admit their mistakes and take responsibility in a court of law. But if the schools, the celebrities and even the media covering them want to be truly transparent, the one thing they all may need to acknowledge is that college is about much more than a classroom education, and that in itself is not necessarily a bad thing. The bad thing is breaking the law to get it or provide it. Keep in mind, parents and students come and go, but if the colleges aren’t held accountable for the fix, the system doesn’t change. When I have helped organizations that have gone through restructurings, one of the more common internal communications challenges has been “survivor issues.” In other words, those employees who survived downsizings now face increased workloads, responsibilities, and related pressures in an environment where many are uncertain that their jobs are secure. Stress. According to a new CareeerCast survey, roughly 78 percent of workers (nearly 8 out of 10) are feeling stressed. Obviously, these employees are not just the survivors of downsizings, but workers in general. The CareerCast survey revealed that most respondents feel “unduly stressed at work,” with most rating their job stress at a seven or higher on a ten-point scale. That’s an increase from the CareerCast stress survey of 2017, where 69 percent of respondents said their job stress was rated at a seven or higher. When it comes to communicating to a highly stressed work force, there are some things the organization should consider to help maintain a more positive and productive relationship with the people. The first action, to the extent possible, is to be as reassuring as you can be about job security. While management may not be able to guarantee job security, it can let people know that the plans in place are designed to prevent the need for future layoffs. But just as importantly, whatever you say, you must be prepared to back it up. If you infer there will not be any more layoffs this year, and you subsequently cut staff in two months, you will damage the trust you have with your employees. 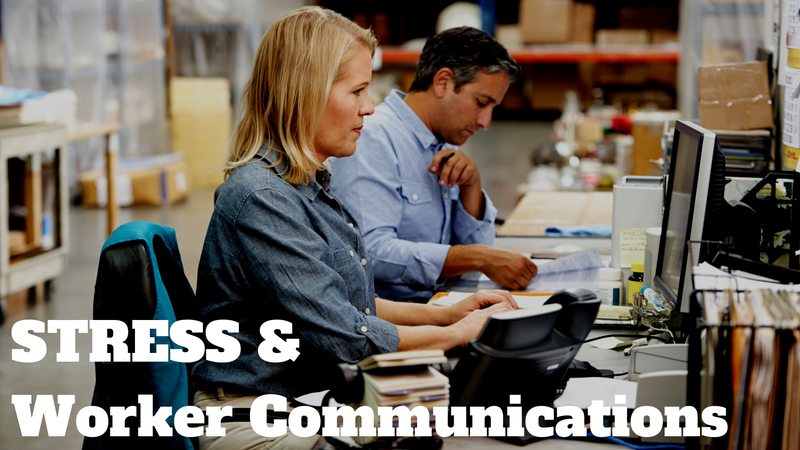 The second action is to enhance lines of communication throughout the organization so that overburdened employees know where and how to relay the challenges they are facing, and when necessary, get help. The third action is to maintain strong and credible recognition programs where employees who are going above and beyond are acknowledged and recognized for doing so. This isn’t to say you need more awards luncheons, or for that matter, more employee awards. It’s more about the little things, like empowering managers to take hard-working employees to lunch, or hand out gift cards as a token of appreciation. Even something as basic as a handwritten ‘thank you’ note from the CEO that cites the specifics of what the employee did that made a difference. Of course, you can “brand” some of these activities, which helps send the message that the people at the top get it and are on board. But more than anything, it usually comes down to helping front line managers build stronger relationships with front line employees. No one likes a crisis, but for those who have had to deal with them the stories aren’t always as dire as it may appear at first glance. Some will point to the opportunity to make something right in a situation that could have been far worse. Others will tell stories about how going through a trying time with colleagues and stakeholders in the end helped them and their organizations forge stronger bonds. A cross-section of crisis situations that I’ve handled have ranged from bankruptcy filings and missed earnings expectations to litigation and workplace situations. None of these problems were inherently positive, but there were a few that when I think about it I’m glad I was there to help. The one that comes most prominently to mind was the time I received a call from the wife of the CEO of a tech firm who told me that during the night his father, the chairman of the company, had died. Since his father, who was liked, respected and admired by many, had suffered from a serious life-threatening health condition, I had a plan in place for this possibility. Immediately, I felt thankful that I was in a position to alleviate some of the burden from the CEO in his time of grief. The company was publicly traded, so the biggest concern was the possible reaction from analysts on Wall Street and investors. Since the death happened over a weekend, we knew that we had until the stock market opened on Monday morning to prepare. In the end, this event was a litmus test in the confidence the market had in the CEO and the company’s leadership team. Other important concerns were the impact the news might have on customers and employees, though these concerns were somewhat less because most customers and employees had substantive experience with the organization and readily understood that day-to-day operations would not be affected. The major risk in this situation was that a negative impact on the company’s stock valuation could have an effect on current and potential investors, employees who were invested in the company, and on the company’s reputation. The most important thing we did was have a plan in place for the scenario that eventually happened. We knew in advance what the challenges would be. We knew who our most important stakeholders would be and what they would need to know and want to know. The plan called for a quick all-hands-on-deck management meeting over the weekend. I was able to use the plan as a meeting agenda and fill in as much information as possible so that I had the substance needed for all communications. These included disclosures to the media, employees, customers and others. We were able to quickly establish internal and external communications protocols. The key message was that while this event was extremely sad and troubling, since the CEO had been in place for some time, and had been the driver behind the company’s currently strong performance, the sad news would have no impact on the day-to-day operations. We were well prepared to announce the news to all important stakeholders before the market opened that Monday. When the market opened on Monday, we had already communicated the news broadly to the media and to the analyst community on Wall Street. Employees and customers were informed personally and directly by their managers and representatives. At the opening bell, the company’s stock price was not impacted by the news. There were no sudden point drops. From the standpoint of the market, it was generally understood that even with the loss of its chairman, the company remained in good hands. For me, the thing that makes this my favorite crisis was that I was able to achieve the results that come with good planning so that the CEO of the company was enabled to focus on the personal challenges of losing a father and a friend. In my experience, clients who’ve already come under attack by activists and the media before tend to be more understanding of the situation than you might expect. They are usually much more open to counsel, and they also tend to be more accountable and transparent than they are portrayed. On the other hand, I’ve also had the chance to work with some organizations that until a particular crisis situation, they had been considered media darlings. Some have been popular brands, or as emerging growth companies, they had never experienced a downturn in their business to that point. Others have been organizations that have operated in a fashionable industry or sector. That was until the shine came off the apple, so to speak, with a first major crisis of negative publicity that stunned them. One of the more common misunderstandings when it comes to crisis communications is the issue of whether or not the organization at the center of the story actually did anything wrong. In those instances where the company is at fault, like a product recall or a problematic decision, the course of action is relatively simple. While it still may be complicated and difficult, the way through to the other side is fairly obvious. You own up to it and communicate corrective or preventative actions. And you commit to full transparency. What If You are Not to Blame? 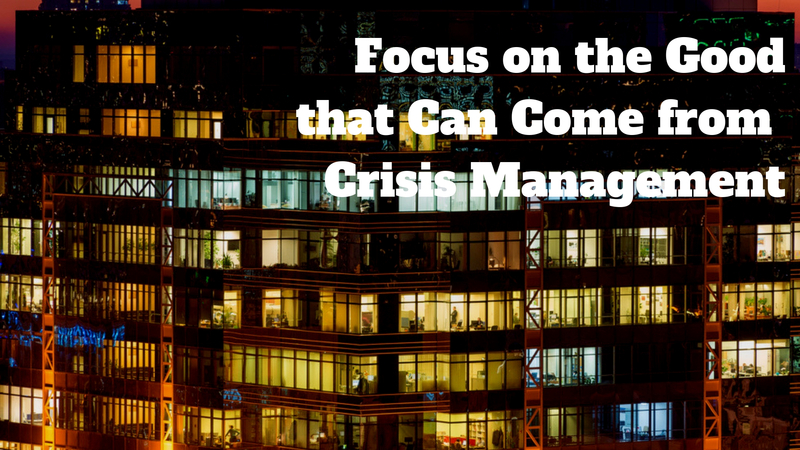 What most people don’t realize, however, is the vast majority of true crisis situations are scenarios where the organization is not at fault, where it’s being falsely or errantly portrayed as being the problem. Usually, a destructive narrative has taken hold, and there’s just enough truth in it to make it very difficult for the organization to prove its innocence in the court of public opinion. Companies and organizations who have been through this sort of thing before tend to know what to expect, and how to respond, and perhaps even more importantly how not to respond. But if the organization at the center of a negative publicity flap has never been through this before, they can be surprised to find out their relationship with the media is not quite what they thought. This leads to soul-searching revelations for some managers that they may have been over-confident in their own charismatic qualities, or over-trusting of the media, or had a dangerous sense of invincibility. I remember one company that was faced with a situation where a Hollywood celebrity and a group of activists were protesting one of the company’s facilities. The group attracted a swarm of media, which led to national coverage. While the company was used to receiving national media attention, what it wasn’t used to was negative national media attention. The thing that sparked the protests was not very complicated. Management had to make some difficult cost-cutting decisions to keep its operations going. If it didn’t do so, the company’s future was at stake. I would end up meeting with the CEO of the company to determine what we could do to help. We had a frank conversation, and in the end, it became clear there were no easy choices. I knew that I couldn’t tell the CEO what he wanted to hear. I had to tell him to essentially take ownership of the decisions that were made, and to explain why and how those decisions were in the best interest of the employees, customers and the very future of the company. What he wanted to hear was that there were some simple words he could say that would make everything go back to where they were before the crisis, and that the media would return to treating him and the company like rock stars. I tried to explain that being honest, candid and frank was his best hope for doing that, but he was too preoccupied with his dilemma. There were other consultants in the room as well, each advocating a complementary strategy for HR and legal. The whole time, the CEO just looked distracted and gobsmacked. At times like this, it’s very important to give someone in this CEO’s position a chance to process. What we couldn’t give him was more time to decide. As we spoke, a protest in another city was launched in front of one of his facilities, and the media were on hand. At that point, it became clear to everyone in the room that leadership was so stunned by the manner in which the media seemed to have turned on them so quickly that they couldn’t make any firm decisions on this day. We wished the company’s managers the best and went on our way. To my knowledge, the company never did engage outside crisis communications support. The more visible you become, it is more likely that at some point, your organization will face a negative publicity crisis. The positive coverage you receive today, and the negative coverage you may receive someday have nothing to do with whether the media likes you or doesn’t like you. No matter how positive the coverage, it is a mistake to assume that the driving force is the power of your personality or the uniqueness of your culture. If the coverage is positive, it’s because there is something about your story that supports a narrative the media wants to tell today but for whatever reasons may not want to tell tomorrow. 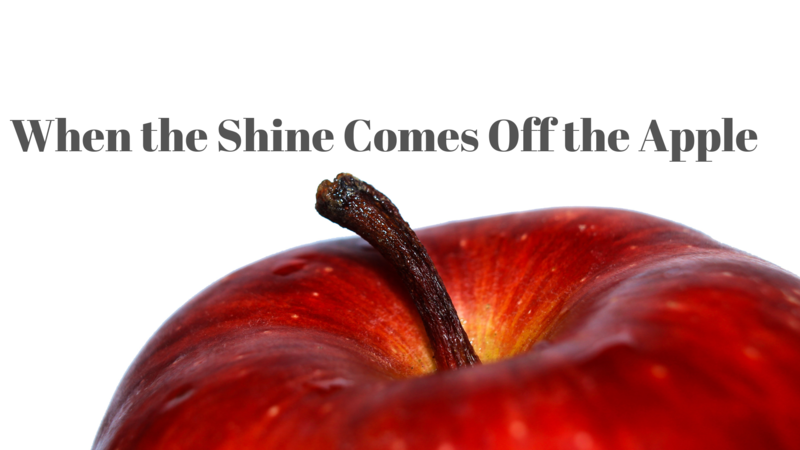 In short, when your organization is considered a media darling, that is the time to understand you are vulnerable to an effort by someone at some point to take it upon themselves to try to take the shine off of your reputational apple. Just understanding this will go a long way towards helping to ready you for a crisis of negative publicity. When is it Time to Bring in a Solo PR Consultant? This is a question I see every day. An organization has the staff it needs for its day-to-day business, but not everything goes as planned. Some projects take more time and resources than expected. New demands pop up. The C-Suite just changed your priorities. And here you are, having to do everything you planned to do, and a little bit more. It’s times like these that organizations entertain the notion of bringing in an agency to provide support. Sometimes it makes sense. Agencies can throw a lot of bodies at a challenge in a short period of time. But they can blow budgets out of the water in the process, and it can take time to get everyone up to speed and stay on the same page. There are times you just don’t need or want all of that. What you need is someone who can get up to speed quickly and help out as needed. Hopefully, someone who’s been there. Media relations, writing, social media are three common areas where organizations turn to solos, but in all reality, whatever the need may be, there’s a chance a seasoned solo practitioner is available to help. Of course, short-staffing is only one reason solos like me get phone calls. Another factor is having the right experience or expertise in a given specialty, like speech writing, media training, or crisis and issues management. Whatever the case, if you have a need, and for whatever reasons you can’t adequately address it with the staff on hand, may not have to go the route of RFPs and agency searches. 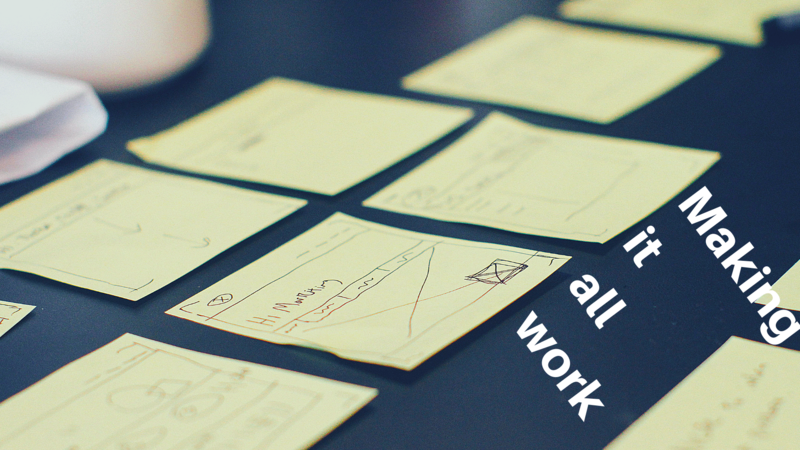 All you may need is a one-person agency in the form of a solo consultancy. If this sounds like you, just let me know. If I can’t help, there’s a very good chance I know someone who’s right for you. Let’s say your background and training is that of an engineer, or a sale exec, or a lawyer, or maybe an accountant, but here you are, your company has selected you to be spokesperson on a particular issue. Perhaps that issue is a pressing one and this situation has already reached high levels of intensity going in. Hopefully, it’s safe to assume that you have the support of the organization from the top and into the communications function. You should expect to receive some level of guidance and coaching from your communications people. But what, specifically, should you expect from your team and from yourself? The first thing you need to know is what is the company’s messaging on this particular issue. Do you have a set of key message points that were developed by your public relations people on the issue? Were you part of the process to develop and fine tune those messages? And, do you have the proper support information to back up those messages? 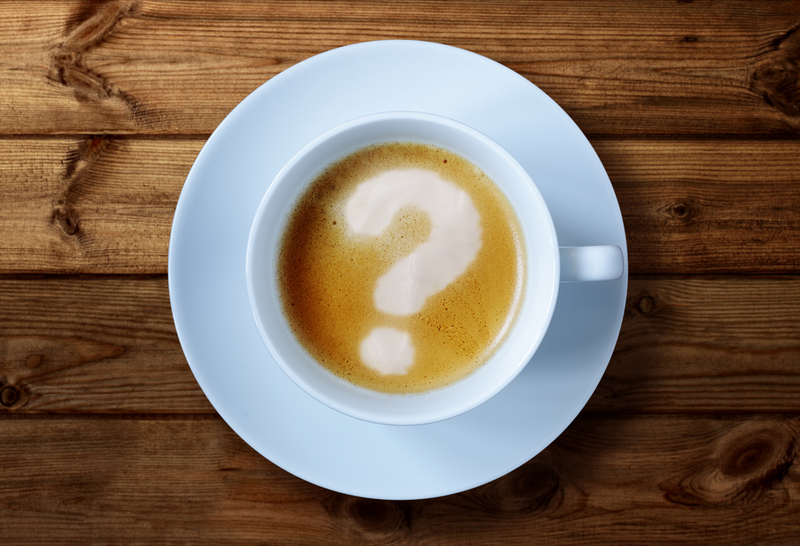 Along with a key messaging document, you should also have a list of possible questions you may receive on the issue, along with recommended responses that are consistent with the key messages that have been developed. If there is time, you should expect to receive coaching and an opportunity to simulate media interviews and other scenarios where you may be required to deliver the company’s story on the issue. As with any big matter, no one can reasonably assume that you or any one person would have all of the answers to every question. But going in, you should know who within the organization may have some of those answers. And you should know what external resources can be accessed to help further tell the full story on the issue at hand. These are the basics, and they apply in both crisis and non-crisis scenarios. What are your stories about the time you were tapped to be spokesperson. Let us know at @OBrienPR on Twitter. Pew said this is not a major change from a year ago, but there are some slight shifts. Seventy percent of those surveyed said that improving the economy is still a high priority but not as dominant as it was in previous years. A likely explanation for this is that since the economy has gained strength over the past two years, economic issues are less of a concern, and other concerns have risen higher. When the recession was still fresh in peoples’ minds in 2011, 87 percent of survey participants then said the economy was the highest priority. Based on this trend, should the economy continue to improve, it would appear to us that concern over the economy will likely lessen. Case in point, 50 percent of those surveyed by Pew said concern over the employment situation is a high priority. This as unemployment rates have fallen significantly. Back in 2011 when unemployment levels were much higher, so were employment concerns. Pew said it found that in 2011 87 percent considered employment a high priority. Sixty-seven percent of those surveyed told Pew that defending the U.S. from possible terrorist attacks remains a high priority. Pew said it conducted the survey from January 9 to 14, 2019, and received responses from 1,505 adults. While the Pew survey captures the national mood in a broad sense, its findings can also help companies and other organizations better understand what’s on the minds of their employees, customers and other important stakeholders. When talking to employees this year, for example, while employers may have good news with regard to performance and employment opportunities, it will be equally important to communicate with employees on what is being done to better manage and control health insurance costs. That’s just one example. What are your thoughts? Tweet to us at @OBrienPR.